Take up a bow and arrow and find a new passion on your next equestrian vacation. Horse people are not just horse people. We are musicians, parents, athletes, history buffs, collectors, hobbyists of every interest imaginable and, if we are very lucky, we will occasionally find ourselves with the time and money to plan a dream vacation. Photo courtesy of Tennessee Valley Archery. 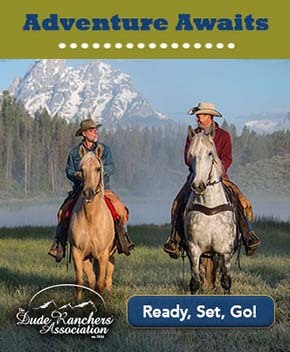 For the equestrian traveler who wants to add a unique new challenge to his or her riding experience, mounted combat combines skilled riding with excellent marksmanship and connects us with a time long before the advent of firearms and modern technology. In our long history with the horse, few partnerships were longer-lived than that of the warrior and his mount, and in the past 10 years, this ancient necessity has experienced a resurgence as an athletic pastime. You don’t necessarily have to own a horse to enjoy the opportunities listed here, but if you do happen to be traveling with a trailer, these places offer your horse the opportunity to test his or her mettle as a noble battle steed as well. Photo courtesy of Rachel Pendley. Note: In 2012, contributing writer Anne Beggs shared with Equitrekking her story of becoming a mounted archer after getting her first horse at the age of 51. Read about her experience here. Widely recognized as the most knowledgeable and skilled mounted archer of our time, Lukas Novotny has been winning international mounted archery championships for 13 years. He has also been a full-time bowyer since founding Saluki Bow Company 20 years ago. His bows – composed of real wood, horn, and sinew – are modeled after the composite bows used by Mongol archers as far back as 3,000 B.C. and are the culmination of many years of painstaking trial and error. 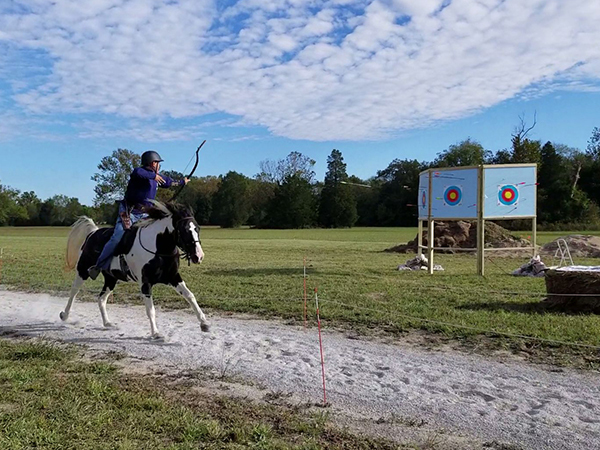 For a fee, Novotny is available to travel to your barn, club, or festival for clinics in both ground and mounted archery, but he also offers three-hour, six-hour, and two-day private and semi-private classes on his farm in Umatilla, Florida. These classes are held during Florida’s winter season (October-April,) when the weather is most favorable. Classes generally run from 9 a.m.-12 p.m., with the six-hour classes resuming at around 2 p.m. and going until 5 p.m. Of special interest to a vacationing equestrian might be the two-day option, which is conducted as two six-hour classes. There is an area onsite for RV parking or camping for those coming from out of town, but hotel accommodations are also nearby. Umatilla is located in Lake County, Florida, a wetland region loaded with tourist attractions, just south of Ocala National Forest and less than an hour’s drive from both Orlando and Ocala. Lynn is the founder of the South Texas Archery Riders (STAR,) an MA3 (Mounted Archery Association of the Americas)-affiliated archery club in south-central Texas. This affiliation requires anyone taking part in mounted archery on the premises to be an MA3 member for insurance purposes, which involves a small additional fee. 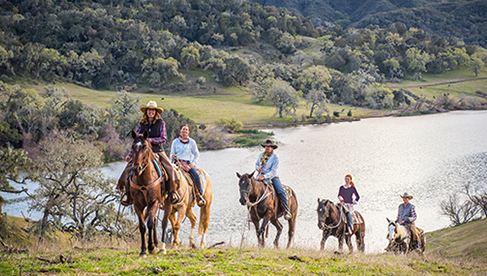 This opportunity is best suited for those vacationers traveling with their own horses. Like Novotny, Lynn does not teach horseback riding and expects participants to already be proficient at riding reinless before taking a lesson with her. Lessons are generally one-on-one unless a student would like to schedule a clinic with multiple attendees. Lynn recommends scheduling multiple lessons – to be sure that students are well-prepared for the variables involved in shooting. Her first lesson always focuses on familiarizing the student with ground archery technique using a horse bow. Lynn’s current location, in Marion, Texas, is somewhat bereft of other attractions, but at the end of 2018, she will be moving her lessons to Canyon Lake. Canyon Lake is located roughly halfway between Austin and San Antonio and the area boasts resorts, B&Bs, campgrounds, lodges, and RV parks, so visitors will have no trouble finding accommodations for their stay. Surrounding attractions include boat and jet ski rental, scuba diving, golf, and hiking. 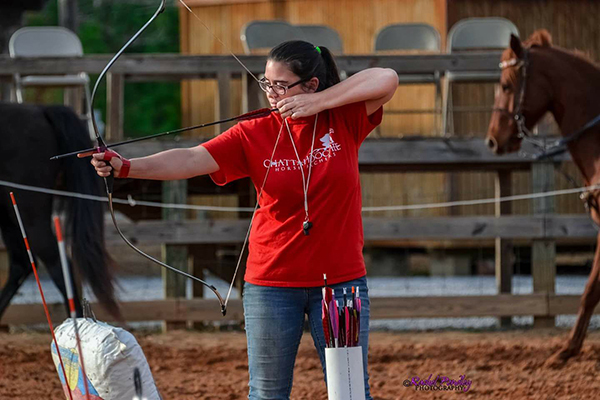 Elizabeth Tinnan is the president of the Chattahoochee Horse Archers, an archery club based in Aragon, Georgia. As a full-time mounted archery instructor, however, she doesn’t operate out of a single location as the other opportunities listed here do. Instead, she conducts clinics year-round all over the country. This year’s destinations have so far included Texas, Oregon, Indiana, and Florida, among others.) These clinics take two forms, both appropriate for equestrians new to archery: an eight-hour Introduction to Mounted Archery and a 4-hour “Fast Track” which condenses the eight-hour clinic and focuses on becoming comfortable handling a bow and arrow, correct shooting form, blind arrow nocking, range safety, and desensitizing your horse to the sound and feel of a mounted archer. Photo courtesy of Jill Monroe. Tinnan is a walking testament to the possibility of creating your own dream job if it doesn’t already exist for you. She got her start as a mounted archery instructor (a job that she calls “absolutely, ridiculously wonderful,”) when she became determined to share her love for the sport with people around her, only to find that there was no one nearby who taught it. 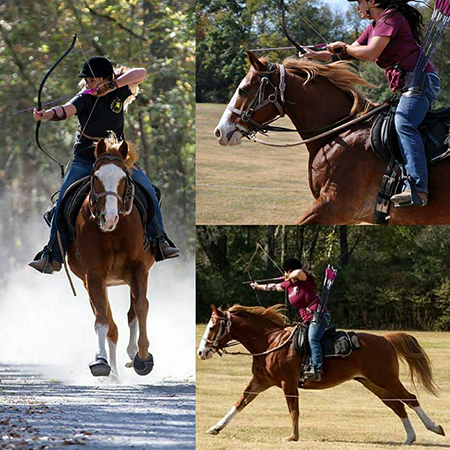 She will be competing in the World Horseback Archery Championships in South Korea next month, and returning to a regular clinic schedule in Dallas, Georgia in October. 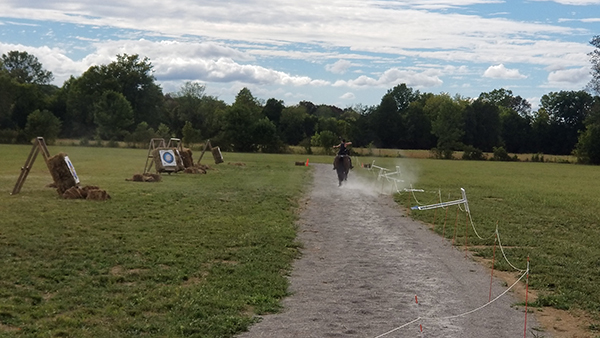 Chris Carlough, the owner of Rising Glory Farm and founder of Tennessee Valley Archery, has taken part in mounted archery tournaments but is not a mounted archery instructor himself. However, he hopes to open his new updated facility to archers (footbound and mounted) early next year. This summer Carlough had a 90-meter all-weather riding and shooting track installed, and ten acres of woods on the property area was equipped with a brand new cross country course including water crossings and 3D targets. Rising Glory Farm operates as a boarding facility, and Tennessee Valley Archery offers overnight stabling in its 32-stall barn--with massive indoor and outdoor arenas and a 60-foot round pen. So far the facility has hosted several clinics and one competition and will be hosting an Elizabeth Tinnan clinic on November 10th. For the traveler who is interested in mounted combat and likes to have a lot of options, the Academie Duello may offer the vacation of a lifetime. Thousands of students enroll in its programs annually to learn European swordsmanship, wrestling, archery, and pole weapons--and their space in downtown Vancouver includes a museum, a weapons shop, and library. The Academie’s website also contains a cache of articles, blogs, and videos on subjects like horsemanship, stage combat, self-defense, exercise, and a history of arms and armor. Last month, the Academie moved their mounted combat operations from their former location in Steveston (just south of Vancouver) to Langley, British Columbia. The new facility includes two outdoor rings, an indoor ring for year-round lessons, and a heated riders’ lounge. There are also plans to add a Knight Camp for adults (currently their Knight Camps at the Vancouver location are for ages 8-14 only.) If you’re like me, the thought of receiving a knight’s training in Vancouver in 2018 covers about half of the things on your bucket list. This will be an addition to pay close attention to. The Academie offers classes from beginner-level horsemanship through advanced mounted combat. Many of their more advanced classes, as well as those classes in horsemanship, riding, and jumping require several weeks of attendance. However, visitors to the Vancouver area can sign up for Mounted Archery or Mounted Combat lessons, which take place over a three hour period and require experience in neither riding nor archery. There is also a five-day intensive course for those interested in mounted swordplay, as well as an annual three-day Mounted Combat Symposium that welcomes riders, swordplayers, and archers at all skill levels. About the Author: Sarah Mohler is a Cleveland-based editorial intern for Equitrekking. She has worked in hippotherapy and boarding facilities in Ohio, a horse rescue in Maryland, and a trail riding business in the Colorado Rockies. She holds a bachelor’s degree in Equine Facility Management from Lake Erie College. She is currently pursuing her master’s degree in Creative Writing from the NEOMFA program at Kent State University, and hopes to write her thesis on the evolution of man’s relationship with horses. When not writing, reading, annotating, teaching, workshopping, or grading papers, she enjoys going for walks, eating sushi, and snuggling under a soft blanket with her boyfriend.